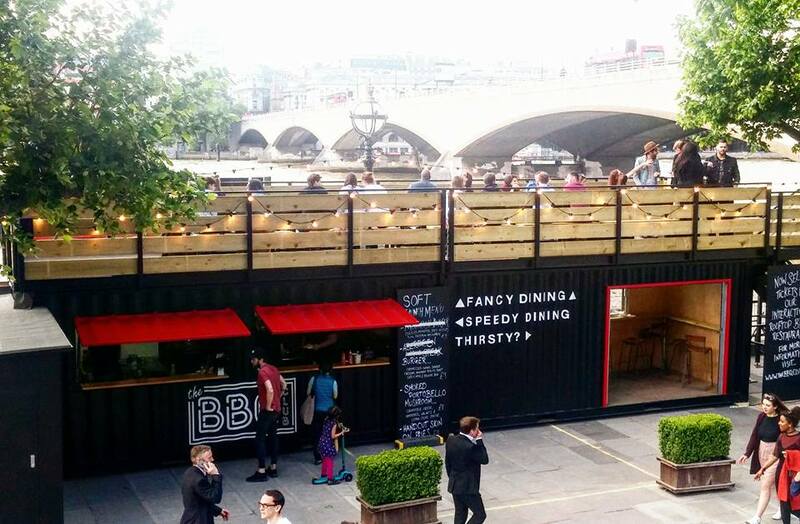 The BBQ Club is a 3 month pop-up taking place on The South Bank - between the skate park and the river - over three months in summer 2017. 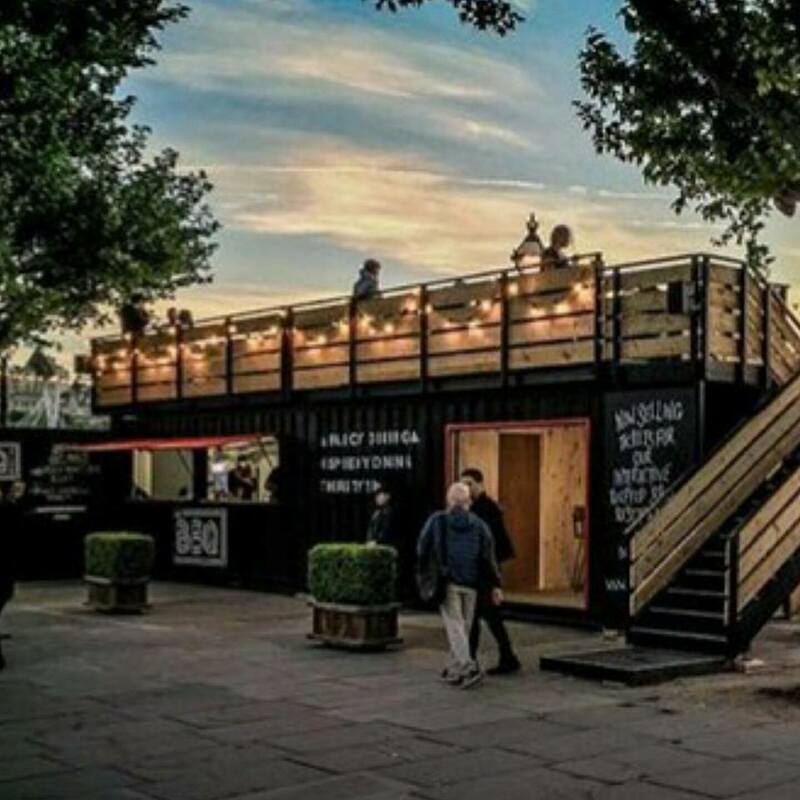 Jimmy Garcia ran one of the hits of 2017 when he cooked with Big Green Egg BBQs in a Clapham garden last year, and now he's bringing it to a shipping container in a much more central location. The roof of the shipping container has 5 tables of six, and each table has its own Big Green Egg BBQ. Staff provide the prepped food, and diners grill it themselves at their table. Or get a take-away fron one of the hatches below. Plus there will be a bar, and a balcony ares overlooking the river. Booking is recommended - and you can even book the whole of the roof area for private dining and parties. "London’s pop-up king, Jimmy Garcia, is excited to announce his largest and most ambitious residency to date, The BBQ Club at London’s Southbank Centre. Launching on Saturday 20th May 2017, the split-level, riverside Summer eatery promises a walk-up BBQ Bar showcasing gourmet dishes straight from the grill and the more intimate BBQ Club rooftop dining experience, serving an ever-evolving six course tasting menu, set against the stunning backdrop of London’s River Thames. Staying true to Jimmy’s acclaimed interactive, alfresco cooking style, both the walk-up BBQ Bar and BBQ Club rooftop dining menus will feature innovative and exquisite BBQ dishes, served straight from a Big Green Egg grill. From hand-dived Dorset scallops and locally foraged sorrel to artisan chorizos imported directly from Jimmy’s Dad’s hometown of Asturias, Spain, each dish will tell a tale of provenance and sourcing. 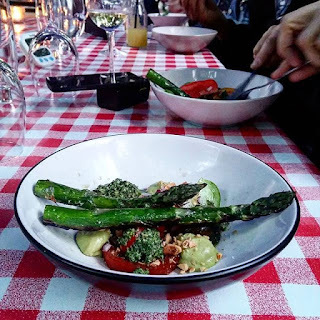 The upstairs BBQ Club tasting menu will invite guests to baste and grill dishes alongside their chef on their very own BBQ built into the centre of the table. Jimmy and his team of chefs will guide guests through a refined and interactive six course tasting menu; including dishes such as The Queenie Flower, a hand-dived Dorset scallop served with coal-baked cauliflower, hazelnut crumb and pickled red onion petals or Baa Baa Broccoli, a succulent lamb cutlet served with salsa verde, charred tenderstem broccoli and Sicilian anchovies. As the light begins to fade, diners will conclude the tasting menu by toasting marshmallows over table-top embers before adding biscuit, mini-marshmallows and lashings of chocolate. For those who like their toasts a little stronger, guests can help themselves to the rooftop honesty bar, serving refreshing gin concoctions, 10 pint beer kegs for the table, or aptly named bottles of ‘good wine’ and ‘great wine’. The walk-up BBQ Bar will serve fast, fresh and flavoursome gourmet BBQ dishes such as charred monkfish with tarragon mayonnaise and dill pickled cucumber and the ultimate steak and chips with chimchurri sauce. All priced at £10 or under, the dishes are ideal for a working lunch or an afternoon drinking by the river. A separate downstairs bar will also be situated at the river’s edge, serving a selection of G&Ts, craft beers and ciders, meaning even if guests are not dining at The BBQ Club they can enjoy the sunset over the London skyline drink in hand. The BBQ Club is part of Southbank Centre's summer-long offering of gourmet pop-ups and food markets from the capital's most exciting and celebrated eateries."